This is a quality sport fishing event where you will experience the thrill of chasing marlin, tuna and mahi-mahi. It is an extensive trip that will take you to the continental shelf and beyond. 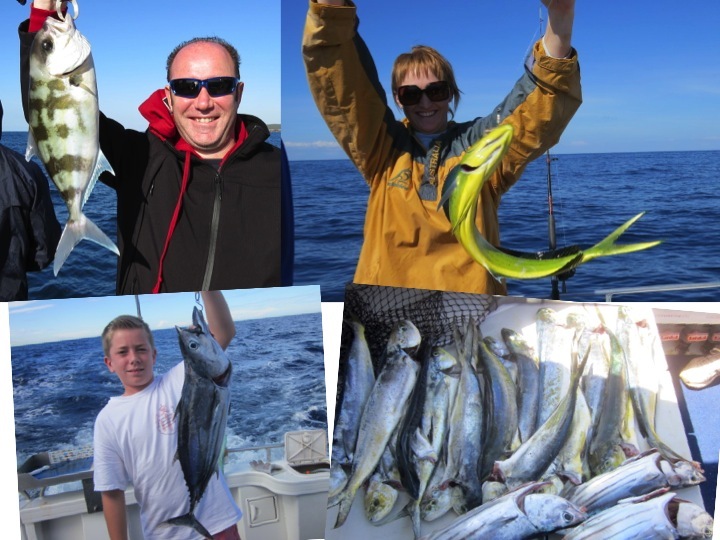 You will enjoy a personal sport fishing charter in the blue and sparkling waters off Sydney. You leave the wharf at 6.30am for at least 7 hours out fishing (it could be longer if the conditions are good and the fish are biting!). You'll have the time of your life up to 20 nautical miles offshore or down the south coast, depending on the season. This custom made quality boat is ranked among the best for an offshore fishing adventure. Top quality Shimano rods, 24 kilo reels as well as Charter Specials and light sport fishing gear make this one of the best fishing trips money can buy. You'll be guided to the best fish the Aussie coast has to offer and target the offshore species like marlin, tuna and dolphin fish, also known as mahi-mahi. The FADs (Fish Aggregating Devices) allow you to return to fishing hotspots! These fish normally come down south from November to May with water temperature around 22 to 24 degrees C. During the cooler months, May to October, you will target yellowfin tuna and albacore mostly by trolling and the ‘cubing’ technique. Or depending on sea conditions, you may target Snapper on the reefs south of Sydney. Morning tea, soft drinks, biscuits, mid morning snacks and lunch will be provided - it's all taken care of! Please advise if you have specific dietary requirements. Happy fishing! This experience takes place in Port Hacking and Cronulla, 25 km south of the Sydney CBD. It is 30 minutes by car and also on the Blue train line to Cronulla.